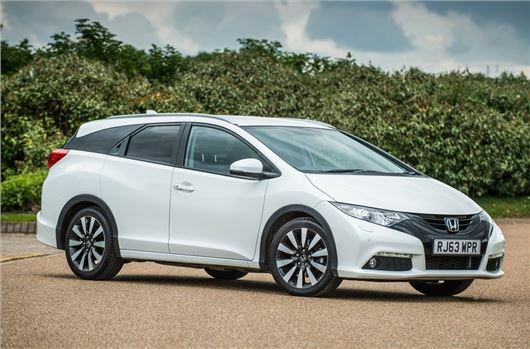 The Honda Civic Tourer has been named the best performing car in the Real MPG section of HonestJohn.co.uk. Of current cars it comes closest to matching its official figure in real world driving, with a rating of 93 per cent. That equates to a genuine 68mpg. Dan Harrison, Editor of HonestJohn.co.uk, said: "When it comes to real world fuel economy, no other car comes close to the British-built Honda Civic Tourer 1.6 i-DTEC. "Practical and spacious, the estate version of the Civic is a winner when it comes to fuel efficiency, with the diesel surpassing all of its rivals. According to Real MPG submissions for the past 12 months, the Civic Tourer diesel achieves an impressive 93% of its official fuel economy rating, with a real world average of 68mpg."